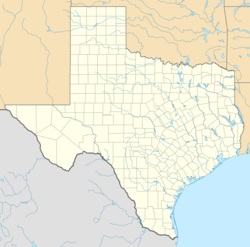 Spindletop is a salt dome oil field located in south Beaumont, Texas in the United States. The Spindletop dome was derived from the Louann Salt evaporite layer of the Jurassic geologic period. 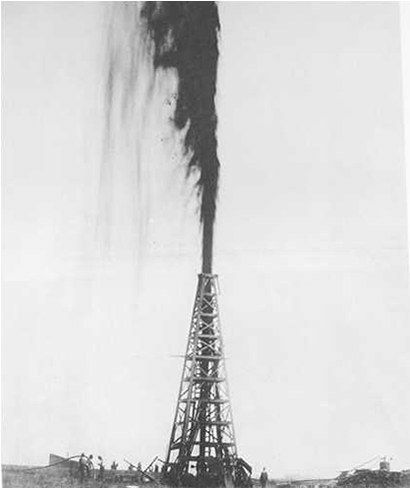 On January 10, 1901, a well at Spindletop struck oil ("came in"). The new oil field soon produced more than 100,000 barrels per day (16,000 m3/d) of oil per day. Gulf Oil and Texaco, now part of Chevron Corporation, were formed to develop production at Spindletop. The strike at Spindletop represented a turning point for Texas and the nation. No previously-discovered oil field in the world had ever been so productive. The frenzy of oil exploration and the economic development it generated in the state became known as the Texas Oil Boom. The United States soon became the leading oil producer in the world. There had long been suspicions that oil might be under "Spindletop Hill." The area was known for its sulfur springs and bubbling gas seepages that would ignite if lit. In August 1892, George W. O'Brien, George W. Carroll, Pattillo Higgins and others formed the Gladys City Oil, Gas, and Manufacturing Company to do exploratory drilling on Spindletop Hill. The company drilled many dry holes and ran into trouble, as investors began to balk at pouring more money into drilling with no oil to show for it. Pattillo Higgins left the company and teamed with Captain Anthony F. Lucas, the leading expert in the U.S. on salt dome formations. Lucas made a lease agreement in 1899 with the Gladys City Company and a later agreement with Higgins. Lucas drilled to 575 feet (180 m) before running out of money. He secured additional funding from John H. Galey and James M. Guffey of Pittsburgh, but the deal left Lucas with only a small share of the lease and Higgins with nothing. Lucas continued drilling and on January 10, 1901, at a depth of 1,139 ft (347 m), what is known as the Lucas Gusher or the Lucas Geyser blew oil over 150 feet (50 m) in the air at a rate of 100,000 barrels per day (16,000 m3/d)(4,200,000 gallons). It took nine days before the well was brought under control. Spindletop was the largest gusher the world had seen and catapulted Beaumont into an oil-fueled boomtown. Beaumont's population of 10,000 tripled in three months and eventually rose to 50,000 Speculation led land prices to increase rapidly. By the end of 1902, over 500 companies were formed and 285 active wells were in operation.